Set right on the banks of the Margaret River, Aroha (meaning love) is an extremely indulgent retreat. A private rammed earth property, in a beautiful bush location is perfect for a couple wanting to escape and experience the many pleasures the region offers, such as walking or cycling along the bush trails, swimming in the river or visiting the award winning wineries, breweries, beaches and galleries nearby. 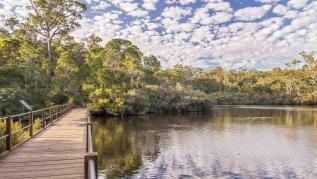 It is steps from the Margaret River, opposite a small dam and bridge, which is a popular spot for swimming in the summer and only a 20 minute walk into town following the bush trail, or a 2 minute drive, to enjoy the many cafe’s and restaurants. Enjoy features such as the Pot belly fireplace for cold winter nights (May until September) and a spacious undercover balcony, the perfect spot for a glass of wine, a BBQ, reading a book or enjoying watching the native bird life.Other features include Daikin reverse cycle airconditioning, a comfortable Kingsize bed with luxury linen, 60″ plasma TV with Foxtel and Bluray. The property is equipped with a kitchenette, including a 270 L fridge, microwave, sink, toaster, kettle, electric frypan, a sandwich press and a Nespresso coffee machine with complimentary coffee pods, a selection of teas and bottled water. Aroha is beautifully appointed and was spotless on arrival. 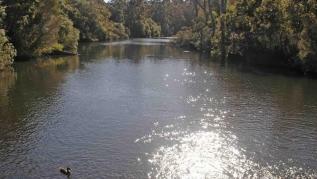 We could not fault the property in any way, it is indeed a hidden gem in Margaret River. Gorgeous place with so many beautiful things. 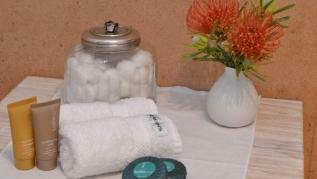 We loved the apartment, the short walk to the river, the Bush trails and the short walk up the hill to the town centre. I was unwell and this apartment was such a beautiful space to recover in. My husband and I highly recommend this amazing place. Exceptional! Was in a great, private location. Loved the fireplace. 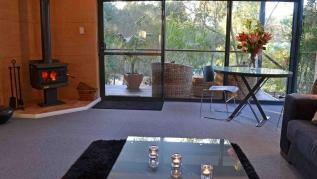 Would recommend this for anyone wanting to stay in Margaret River. Great quiet location. Lovely birds on the deck in the morning. The fireplace added a lovely ambience. We had a lovely 3 nights. 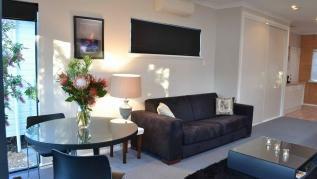 Comfortable king bed, had everything you needed including Foxtel and movies for quiet winters night in. Easy access to keys. Quiet location. 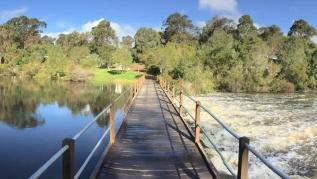 Lovely river and bush walk close to the accommodation. 20 minute walk to town. Excellent helpful owners. A beautiful hideaway located right next to the Australian wilderness. Highly recommended for anyone heading to the Margaret River in the future. We had such an amazing weekend in beautiful Margaret River thanks to Steve & Tina's great place. Super clean and cosy- with the most comfortable bed! This will most certainly be our new place to stay on our next down south getaway. Thanks again. A beautiful place to stay. 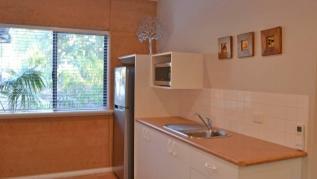 Location is perfect - an easy and most enjoyable , 20 minute walk in to town via the forest or a short drive . Décor is exceptional. Loved sitting out on the balcony, enjoying a wine or two. Serenity was just what we needed. Thank you. The Fireplace was perfect for a cold night, the beds were comfy, the whole unit was nice and clean. Waking up to the birds in the morning made it the place to be! Me and my partner loved it!